hahah i finished all of it a while ago. I have to say it's a great anime. A pitty that the anime didn't continue but the manga did. I never read the manga so i don't know anything about it. NEW IPPO ANIME COMING OUT NEXT YRRRR!!!!! wow what a coincidence, i like finished ippo just yesterday @_@. just got the 2 movies to go through and i'm done till new season comes out sometime in 2009. i can hardly wait for that one btw. 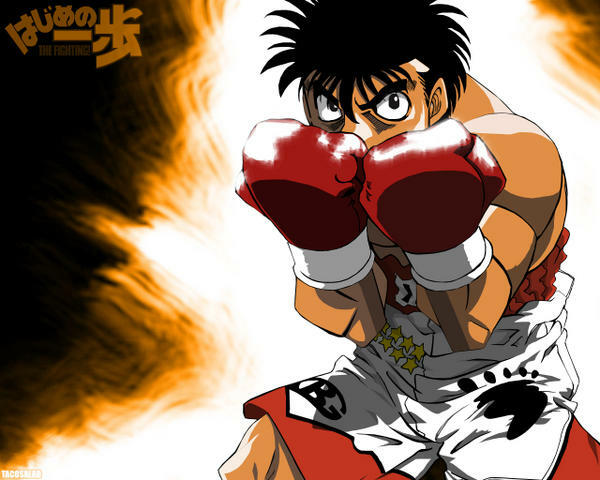 Ippo + today's animation quality is gonna be awesome ;O! just wondering.. is there alot of seeds to the torrent? classic ep man! one of my favourite!! omfg i love that scene so much! you should check out "baki the grappler"
i'm a big fan of this as well. Whats the point in living if you cant feel alive?